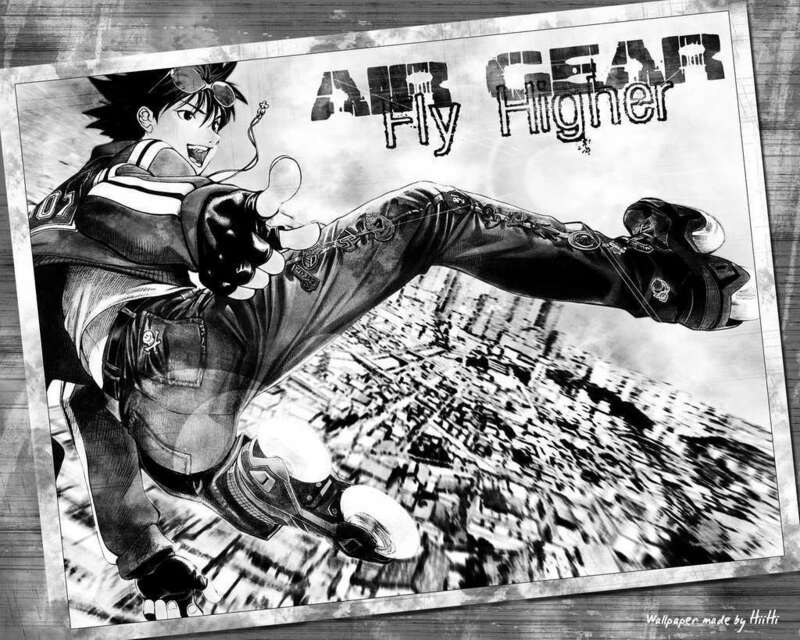 air gear postcard. . HD Wallpaper and background images in the Air Gear club tagged: air gear ikki. This Air Gear photo contains anime, comic book, manga, and cartoon. There might also be newspaper, paper, magazine, tabloid, rag, sign, poster, text, chalkboard, street, city scene, and urban setting.